The research about “dirty electricity” is totally intriguing! 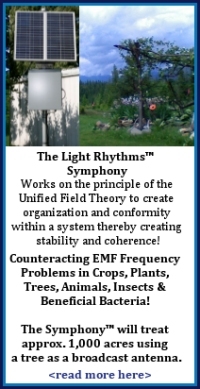 Diabetes, MS, Autism and many other dis-eases are attributed to EMF radiation and living in an electrical environment. Now we have 5G to figure out! 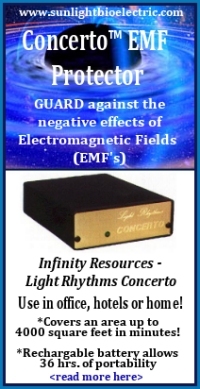 Another “frequency” technology for healing: Royal Raymond Rife Technology. Protect your family, neighborhood or farm from the possible harmful effects of kitchen appliances, televisions, stereos, nearby power lines and home computers. 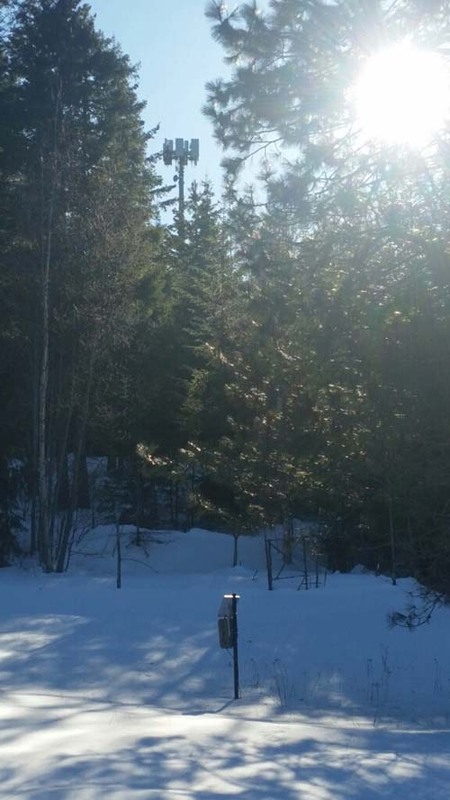 This is the Verizon tower installed next to the property line and WHY we needed a Light RhythmsTM EMF Protectors ~ the Symphony!